Diamonds are not forever in this episode of the Nerd Lunch Podcast. We welcome James from thejamesbondsocialmediaproject.com to help us break out the ol' Pop Culture Eraser again. After meeting him and talking way more about Pod, James Pod than I intended, we erase people and things such as Sean Connery's Diamonds Are Forever, Star Trek: Enterprise, Crisis on Infinite Earths, the return of Barry Allen, David Carradine, Joel Schumacher, Chris Hardwick and Ryan Seaquest...I mean Ryan Seacrest. Nerd To-Dos feature Mad Max: Fury Road and other stuff not as important as Mad Max: Fury Road. CT and Jeeg welcome Doug Frye of Schlock Treatment back to the show to discuss characters they hate and love to hate. The nerds talk all manner of despicable and lovable villains from Alex De Large to David Lo Pan to Dolores Umbridge to Cobra Commander. Also revealed are some classic characters we were supposed to love, but turned out to be hateable. Listen to find out which of the crew hates Wesley Crusher, Xander Harris, or Orko. This week's Nerd To Dos include David Letterman's very last show, The Winter Soldier, and Fury Road. This week we are joined by Geek Kay and Michael May to talk all about the first Star Wars movie. We discuss the first time we watched it, our favorite characters and all of our favorite scenes. We even discuss things we don't like and all the changes made for the Special Editions and later for the Blu-Ray. 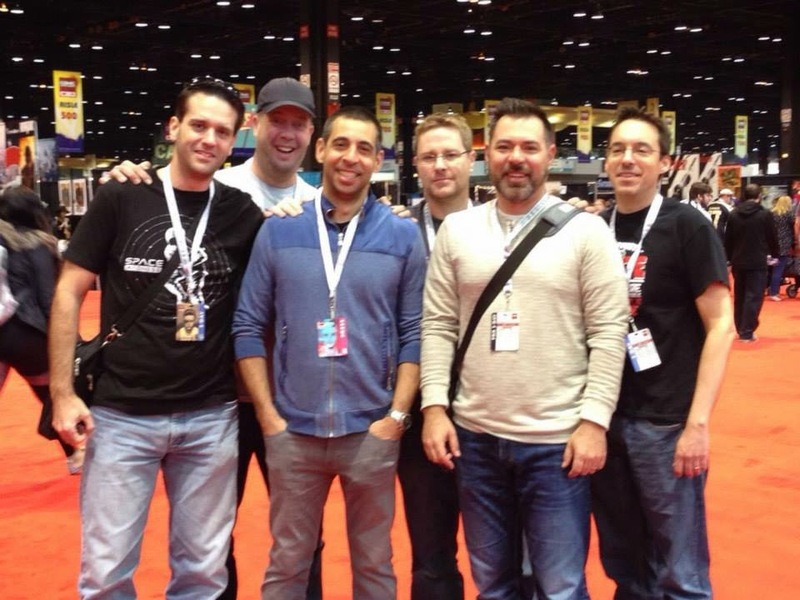 Together in person at C2E2 2015, The Atomic Geeks and Nerd Lunch decide who would win in certain battles. Also, read more about Dan Cooney's Tommy Gun Dolls Kickstarter project.